Can you imagine a time where the camera in your smartphone is good enough that you wouldn’t need a DSLR or point-and-shoot to take great pictures? It’s an interesting idea, and one that most of us have more than likely entertained a time or two over the last few years as smartphones have become increasingly important in our lives. It’s also obvious that smartphone manufacturers care, as each year, we see new camera tech and exciting new software features that are focused on snapping better images in low light and while on the go. But how far off are we from truly great smartphone camera pictures? According to Google’s own Vic Gundotra, it might be sooner than you think. Yesterday on Google+, Gundotra brought up the topic of traveling and whether or not he should take his DSLR or go with a much more portable option. He eventually came to the conclusion that he still needs his DSLR, which then prompted comments from his followers. One in particular hoped that a time when we wouldn’t have to worry about carrying around “heavy” cameras was in the future, and that our Nexus devices could do it all. Gundotra seemed to agree. In his response, Vic said that Google is “committed to making Nexus phones insanely great cameras.” While that’s awesome news, it’s the end of his comment where he says “Just you wait and see” which has us excited. What could that mean? 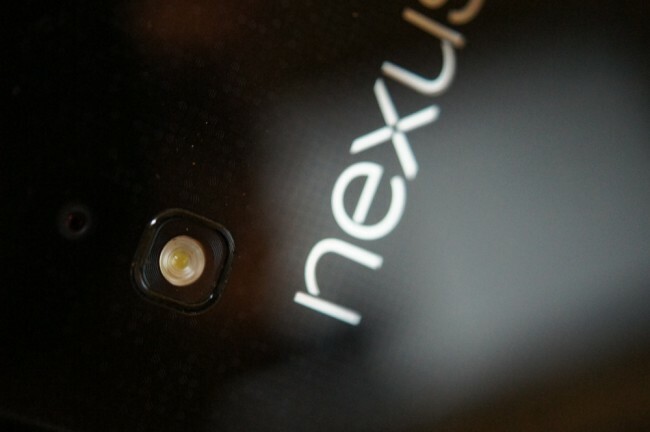 Will the next Nexus have some sort of new camera tech that we have never seen before? Google already gave us some innovation on the software front with Photo Sphere, but there are still times that Nexus phones like the Nexus 4 struggle to snap a single shot with clarity. We would love to see a new focus on “insanely great” images. He didn’t necessarily hint at this greatness happening in a future device or current, so we’ll try not to freak out too much. What we do know is that Gundotra just admitted to Google and the Android team caring deeply about enhancing the camera experience on your phones, and that’s exciting news.